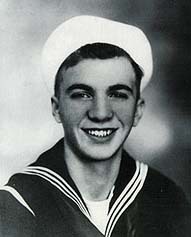 Eugene Domienik served aboard the USS Yorktown from November 1941 until she was sunk in June 1942. He went on to serve on the USS West Virginia. He wrote a book about his time on the Yorktown. Visit http://www.yorktownmemoriesdomienik.com/ to order his book.